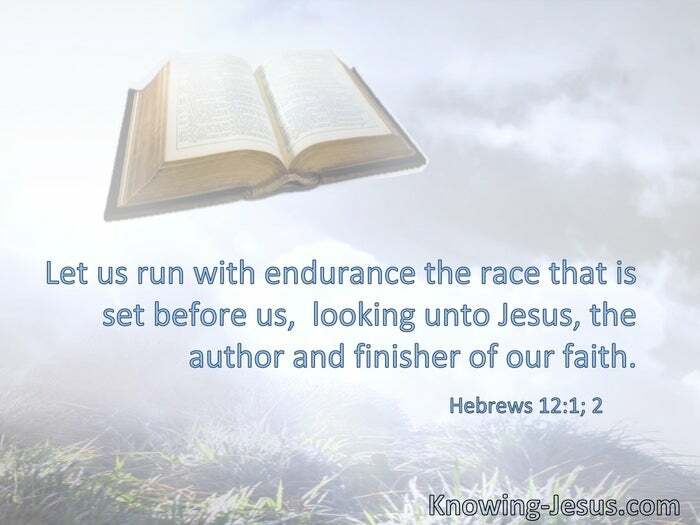 Let us run with endurance the race that is set before us, looking unto Jesus, the author and finisher of our faith. If anyone desires to come after Me, let him deny himself, and take up his cross daily, and follow Me. § Whoever of you does not forsake all that he has cannot be My disciple. § Therefore let us cast off the works of darkness. Everyone who competes for the prize is temperate in all things. Now they do it to obtain a perishable crown, but we for an imperishable crown. Therefore I run thus: not with uncertainty. Thus I fight: not as one who beats the air. But I discipline my body and bring it into subjection, lest, when I have preached to others, I myself should become disqualified. § Brethren, I do not count myself to have apprehended; but one thing I do, forgetting those things which are behind and reaching forward to those things which are ahead, I press toward the goal for the prize of the upward call of God in Christ Jesus. § Let us know, let us pursue the knowledge of the Lord.